Though physically we are far away, the feeling of care, support, and love are always sent along the way to let me know that he always is there for me. I've been tired all days during the week that had not yet passed but now I got strength to move on with this lovely card of his. I LOVE U, HONEY! 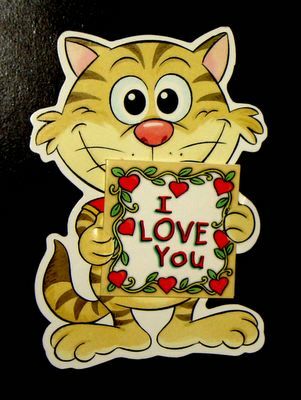 this is because i love you, honey..
very scary samphors, cos little tiger, he loves you...j/k, m so jealous wit u, even if i send millions of dis card 2 a million girls, no 1 would reply as u did 2 ur bf. wow, it is really the power of love that makes you moving with the study! Congrat na! "You were my strength when I was weak. You were my voice when I couldn't speak. You were my eyes when I couldn't see..." make sense! hhha, lyrics from Because you love me, Celine Dion.